Having two great library software systems, G4 network suite or "In The Cloud" Hosted Internet Services both are dynamic, highly versatile, easy-to-use by all types of libraries.. Driven by Librarians who tell us what they need and wish for in a program; we include features such as "Free" Point and Click MARC record retrieval & enrichment, multi-collection capabilities even Textbook control, remote Web-based product support sessions. Full, affordable, well thought out solutions. Genesis G4 Reviews Recently Reviewed! Pros: The customer service is easily the most impressive thing about this software company! Although all the available systems offer cataloging and circulation that are fairly easily workable, I have never encountered customer service to equal LRMS and G4! Cons: Having come to G4 and public libraries from a background in school libraries (with a different, large company's system), I encountered a bit of a learning curve in the transition. However, between documentation and very accessible customer service personnel ready to answer the phone and the questions, the transition was not painful! Thank you Pamela for your very important and so appreciated excellent review, as it will help so many others who may be thinking of changing. And just as with you and all of our customers, we will take good care of them too. No one says it better than the customer. Thank you for staying with us for so many years; you are a cherished customer and we will always be here for you. Pros: I have been using this software for 11 years and it does everything I need and more. I love the ease of the software. One of the best features for me is searching for a book. I can pretty well find any book a child is looking for even if they don't know the title or author by using the drop down features from the catalog. I also like that after a student checks a book in you can very easily switch to check out. I love that most of the marc records show me interest level and reading level. The fact that I can handle textbooks Technology and Library books all with the same software is a bonus. Reps are always just a phone call away and that is probably the best feature of all. Cons: I have not come across anything that I don't like. Overall: I am a PK - 12 school. It is very easy for me to print labels for each level while keeping them separate. I can run reports and past due notices for teachers or parents. I do not need a separate program for parents paying for lost or damaged books. i can print them a report with balance due or a receipt when it is paid. I also love the note taking section and being able to e-mail teachers what they have checked out. We wanted to take a moment to say Thank You Debbie for such an awesome review. We enjoy having you as a customer so much, it is always a pleasure working with you. Pros: I have worked with G4 when it was G3 and in my own opinion it does everything I need and then some. I run the program as a stand alone for students to easily check-in and check-out themselves while I am working in G4 on my computer, adding new books or textbooks. The Customer Service is the BEST I've ever had to work with - Never, not once, have I ever hung up with them thinking it was a waste of time. They will work with you as long as it takes until the problem is solved, the report is built, or the printing error is corrected. I absolutely love the support I receive from the staff working with G4. Overall: I use G4 in my Jr High / High School library where we check out library books, textbooks, computers, and equipment for classroom use. G4 takes care of all of these needs, helps with inventory and running reports on items checked out. Thank you so much Tandy for the awesome review you gave for G4 and for us as a company. We have enjoyed so much working with you as well through the years, and you are one of the reasons we have become successful. As with all our awesome Librarians, your voice matters to us. You speak and we listen. Pros: What I like most is that you can discover a solution mostly by self-exploring and experimenting, which makes it user-friendly. I am a new librarian in my second year and I was overwhelmed at first because I was not familiar with this program, however, I feel right at home with this program now. Customer service is the best thing about this software because of the prompt responses, the resources that have been given to me, and the warm welcomes I always receive with whatever questions I ask. I have found that if I have the time, I usually find what I am looking for. I also like that I can reserve specific barcode numbers if I need to for a specific group of books, even if I do not have the books yet (just to ensure that I will not duplicate those numbers). Cons: Well, I don't know that this is an issue with the software but the most trouble I have had is aligning my printer settings with the system. I honestly believe that the problem is with the printers and not the software. Thank you Blair for sharing such a great review with the world. We enjoy so much working with you, and look forward to a long & fun relationship. Always bring us any ideas that would help you and/or others, as we want our Librarians to continue driving Genesis G4 to help customers and potential customers in the best ways possible. This is also why LRMS has always led the way. I would highly recommend LRMS and the Genesis G4 software! Pros: This software is very user-friendly! We've had this circulation system since our school libraries automated over 20 years ago. Al and his team are very helpful with any questions we may have. I've even asked them to customize reports, and they have accommodated me quickly. Cons: I can't think of any! If there is something I don't care for, Al finds a way to make it better! Overall: We are a K-3 elementary school. 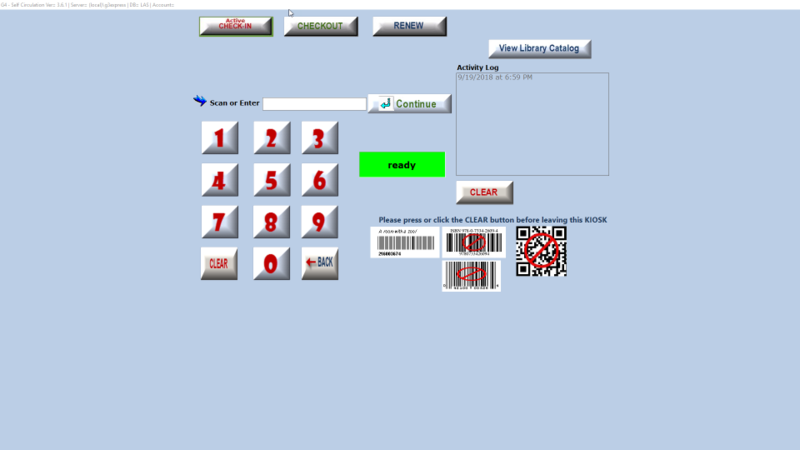 It is very easy to circulate books, print borrower labels for library cards, print reports, and manage materials. Al is always helpful and supportive. If I need something, I just pick up the phone or drop him an email. He usually gets back to me quickly with answers. Thanks for providing a terrific product for our libraries and for making us a priority! Thank you April for the awesome review you gave for LRMS and for the Genesis G4 Library Software. Nobody says it better than the customer, and you and your school district are so appreciated and so important to us. Thank you for helping to make us great. Pros: Four years ago, I entered the world of library management as a newby with almost no experience or related education. My mentor recommended Genesis G4 to help bring a woefully out-of-date library into modern times. My first and only experience with library software is with G4. I learned the basics fairly quickly. When I got into deeper questions such as weeding books from our collection, the kind folks at LRMS were always ready and able to help. I appreciated their first class customer service. Cons: While I have no comparable experience with other software, I can say that I was frustrated a few times by barcode compatibility issues. I also had difficulty learning some of the more complicated aspects of the software. Not sure if this is a reflection on LRMS or my lack of experience. Overall: All in all, my experience was much more positive than negative, and I would recommend LRMS G4 software to other librarians without reservation. First-rate customer service and a knowledgeable and ever-learning staff - it's a recipe for continued success! Thank you for such a wonderful review; we are so blessed. We will continue to be what you, the customer, needs and expects. We so appreciate you choosing LRMS and Genesis G4 for your Library Automation Services. Pros: Everything. I've used this product for the nineteen years I've been with my dist. I love the program and I have seen the software grow and improve so much over the years I've been using it. The costumer service is out of this world! If I ever need anything customer support are always available for you. I am totally satisfied with the program. Cons: I have only found a few issues over the years and customer support was able to walk me through them with ease. Overall: I would describe my experience with G4 as awesome! I love the program and all the benefits it provides. Wow Wendi, what an absolutely awesome review, thank you so much. There is nothing better than hearing it right from the customer's mouth; we appreciate you so much and love working with you. We hope you know that we will always be here for you. Pros: User friendly, ease of checking out books, promoting students, adding new students, and processing new materials. Cons: I would have to say the reports. That's probably because I don't use that part of the program much except for printing overdue list. Overall: 25 years ago, Groveton started using the program when it was Genesis. Through the years and the upgrades, there have been no major transition issues. G4 has been a very reliable program. If the library encountered problems, they were fixed promptly. We use the program for library books, media items, textbooks, and technology. Thank you Sandra for your awesome review. As said before, no one says it better than the customer. We feel so blessed that your school district has been our customer for so many years. We so enjoy working with you, and we will always be here for you. Pros: I have been with company since it opened up. I did not have much money to spend and they offered a whole package for a good price. 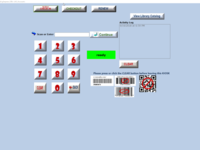 It included the checkout software and the online card catalog. I got to tell them what is good, and what we needed and they listened. The other companies I researched did not and cost a lot more. Cons: I really don't have any complaints. I can call and they work on the problem right away. Overall: Every easy to work with. Good people and friendly. Thank you Rose for your great review, it is appreciated so much and will help others know who we are as a company. We too have (and still do) enjoy so much working with you, and we will always be here for you. Pros: I am able to compartmentalize technology, library, and textbooks for our district. I am also able to operate all my campuses from one database. Everything is very user friendly. Cons: While G4 is very user friendly it would be nice to have more training to learn more of what G4 can do. Overall: Things have changed in many areas for my library. LRMS tech support has been very helpful working with me to make our changes. They are always available to answer my questions. If they don't know the answer at the time they will find an answer. Wow, what a great review Pam, thank you so much. We will always be there for you. Just let us know when you would like more training and we will be happy to work with you at your convenience. Pros: We have used LRMS software since we first automated our school libraries. The software does everything and more that we need for our automation. They are constantly upgrading and improving the features. The customer service is the best! I have never had a problem that they could not help me with and always in a timely manner. Cons: I can't think of anything I don't like about the software. Thank you Teela for the awesome review. We do try to go above and beyond what our customers expect. We appreciate you so much and thank you for your input which has helped us be successful. Pros: Genesis G4 software can be deployed in many systems including Windows, Android, Mac and is web-based software which means being able to access inventory from any system and customization feature is available. Before I started using Genesis G4, I was really disturbed on the mode of training and its effectiveness. Folks, there is in person, live online and documentation which quickly equipped me with necessary skills. Cons: So far, so good! I got no cons when it comes to G4. 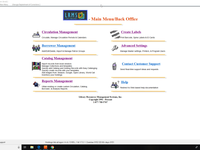 Overall: I am able to run reports and print labels using G4. This is so motivating and better. Pros: It is easy to use! I've been using it for over 15 years and we honestly checked out other systems, and I just did not want to change. There is never a problem with introducing a new feature if you see a need for it. The developers are always willing to accommodate everyone. Cons: I really haven't found anything yet that I am not satisfied with. Debbie, thank you so much for your fantastic review. We appreciate you so much as a customer and have enjoyed working with you for so many years. Thank you for all your great ideas that have helped so many. Pros: This is the only software we have used in our libraries and we have never had a reason to consider switching. The program is user friendly and they keep improving it in anticipation of future needs. Best of all is working with Al and crew - they treat us like family. Cons: The only con is trying to stay up with all the new features - my fault, not theirs. Thank you so much for the wonderful review, it is truly a pleasure having you and your school district as a customer for so many years. We are here for you. Cons: I like everything about this software. Overall: We are a small school district with two libraries, elementary and junior high/high school. It meets our needs. We added textbooks to the system three years ago. Thank you Teresa for the outstanding review. We so appreciate having you as a customer, and for so many years. Thank you also for helping us be successful. We will always be here for you. Pros: Ease of use. GREAT technical and customer support. Always available for questions. Cons: I can't really really come up with a con. Overall: I have always enjoyed working with Genesis G4. My questions have always been answered in a very timely fashion. Excellent training on system. Thank you so much Mary Jo for the great review, and how you have helped make G4 a sought-after product. We have always appreciated you as a customer, and as you know we will always be here for you and your district. Pros: G4 is very easy to use and has all of the features I need for my library. On the rare occasions that I need help, their customer service is extremely fast and helpful. Cons: Al is constantly updating so there is nothing I can think of. Thank you Jennifer for the very nice review. No one says it better than the customer, so we hope this will help others who may be looking to automate or change their automation software. We are always here to help you. Pros: The program is easy to navigate and understand. Cons: I do not have a check in the least column. Overall: I always get a quick response, from a real live person, whenever I have any issue. In today's world of automation, that's a real plus! We apologize for the delay in our response, but we wanted to say "Thank you so much" for such a great review. It is always our pleasure to help you with any question or concern you may have, we will always be here to help you. Thank you for being a valued customer. Pros: I like its ease of use and the access to customer support. Cons: Upgrades sometimes drop some used features. Thank you Sherry for your great recommendation of LRMS and Genesis G4. Over the 24+ yrs your Library has been with us your software suggestions have helped so many customers, thank you. LRMS did do an upgrade in the past removing one feature we thought was no longer in use. However, once we realized some customers still needed that feature, we promptly added it back to G4. Pros: It is very user-friendly! 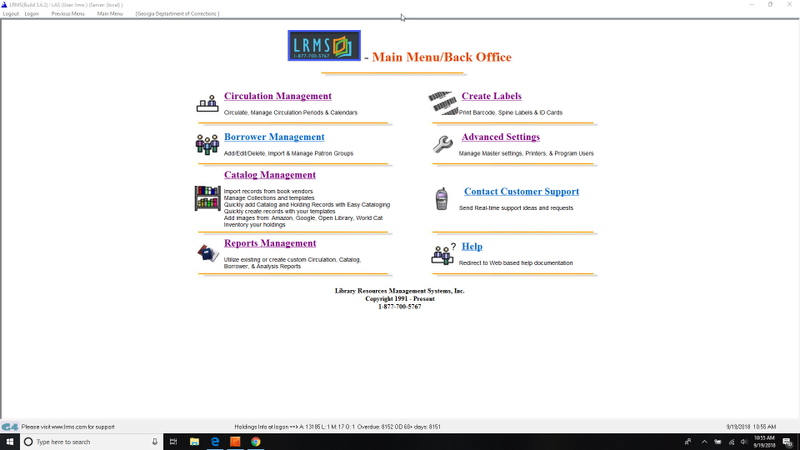 We have used LRMS software since we first started our automated school libraries many years ago. Team are the greatest for customer service. They are always available for questions and the questions are answered in a timely fashion. Cons: I cannot think of anything that we do not like about the software. Overall: I would recommend G4 software. We appreciate everything LRMS has done for our district and continues to do for our district. We love it and would like to thank LRMS for being such an outstanding company. We want to take a minute and say "Thank You" to you Dawn for such an outstanding review for LRMS and our Genesis G4 Library Software. We really do try to give our customers the help and support they expect and deserve from us. As you know, we will always be here to help in any way we can with your automation needs. Have a blessed day. Pros: This software is easy to learn to use with the help of the staff of Genesis G4. Cons: As of now, being new to the newer program, I have not found anything I have problems with. Overall: I started with Genesis years ago at another school, then went a different route. Now years later it has been easy coming back to the program. Things have been upgraded making things easier. Thank you Rita for the fantastic review you gave for our company and the G4 Software. We appreciate you so much as a customer, and so glad you have been with us at multiple school districts. We will always be here for you. Pros: Very easy to understand. The software is very easy to use. Cons: There isn't a thing I dislike about this software. It is AWESOME! Overall: I love G4! They are very helpful and always there for you. Wow, thank you Jessie for the great review. We appreciate you so much as a customer, and you can count on LRMS to always be here for you. As you have always experienced...you speak & we listen. Pros: I have used this for several years and it is very simple and easy to use. The program does exactly what I need for my library system. Cons: Nothing. I am very happy with the program. Thank you Kristi for your awesome review. We have always enjoyed working with you, and we will always be here for you. Pros: The customer service is usually quick and works to solve your problems. Cons: The reports are sometimes hard to use based on the setup. Thank you Lori for your good review, and it will help us become even better. Your success is our seccess and we appreciate you as a customer.